As I always like to say, “Going to the mountains is going home”, and the Andes is certainly no exception. No matter where I am in the world, if there are mountains, I want to reach them. And here, just out of the Chilean city of Santiago, the Andes mountains are some that I desperately wanted to reach. Better yet, they’re only 2 and half hours away! You can see them around the entire perimeter of the city and the views are breathtaking, but the thing is… when you reach them, you experience a whole new level of beauty. 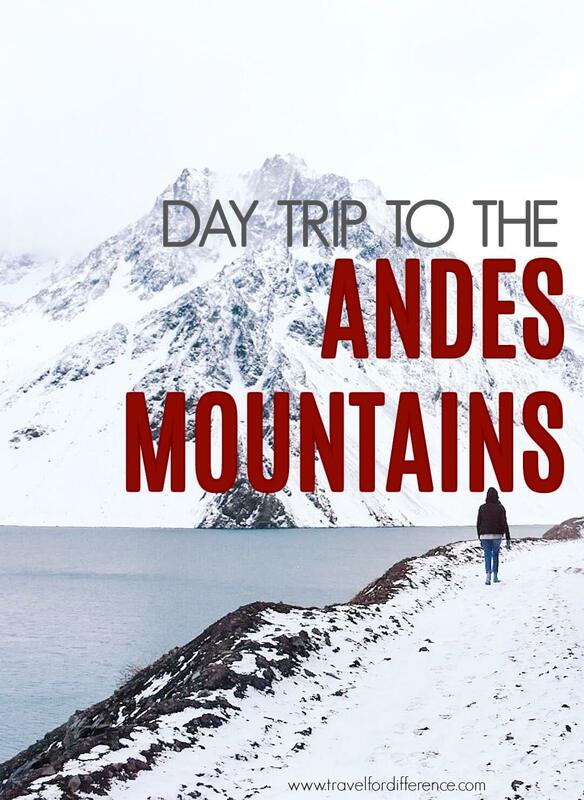 So to begin, I went to the Andes with Viator; a great company at a very affordable price. The journey began by a hotel pickup at the early hour of 7 AM and we were driven through the outskirts of Santiago and through the Chilean countryside. The drive was beautiful and incredibly picturesque; through rugged mountain peaks and small, quaint villages. A lot of the journey was spent learning about the history of these small villages, the way they lived and what the local people do to survive. 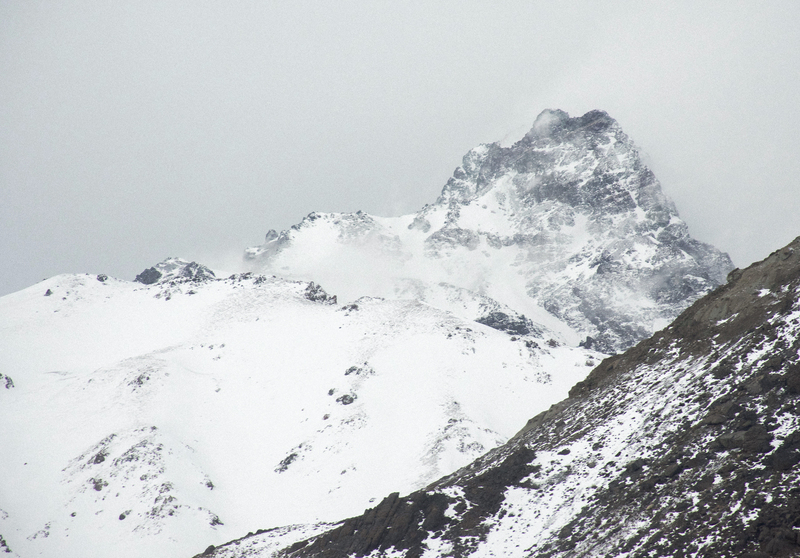 During this time of year especially, the Andes mountains are very cold – very very cold. So for those who really struggle in the chilly climate, there is a stop on this particular tour in which you can hire snow jackets, pants and shoes. Personally, I sucked it up and went with what I had and was totally fine – although gloves, scarfs and warm hat is definitely recommended. During my particular trip, Santiago was around 8℃ during the day… So you can only imagine the temperature when you escalate about 2000 ft – It was pretty cold. The drive up was a little rocky, but was more than manageable, especially when the views are so extremely beautiful. Because of the cold winter season, the buses and cars could only reach a certain point in the road due to snow and ice coverage, so the rest of the journey was to be done on foot. The pathway was covered in snow for the majority of the walk, but easily accessible with the right, sturdy footwear. The path weaved alongside a man-made lake (beautiful nonetheless) around the base of a mountain and towards a small glacier. The walk in itself is around 5-6 km’s return and a 2-hour walk to the end and back. Worth it? Of course! A lot of people just walk to the viewing platform, but please walk further! It’s far too beautiful not to admire. The water is a bright blue colour (even better on a sunny day) and walking along the banks of the reservoir is really really stunning. Even though it’s so-called ‘man-made’, the fact that it’s unnatural certainly doesn’t take away from the amazing landscape that surrounds it. It’s important to take into consideration, that navigating around the Andes isn’t easy, so the Chilean tourism really has done the best they could to find such an amazing place to experience the magic in the mountains. The mysterious peaks and snowy tracks really do make the most picturesque location – one that is perfect for a brisk walk, and also to simply enjoy the snow (especially for people like me who don’t get to experience it very often). It really is a winter wonderland; in every sense of the word. Once the walk is completed – with the guide or at your own pace – the group is then treated to a beautiful spread of cheese, crisps, olives, fruit and general snacks. For those who love wine, this is the perfect tour for you – there’s a lot of it! Although I’m not much of a wine drinker, Chile is known to have some of the most incredible wine in the world, and from most reactions of those who tasted it, that was certainly no lie. Once indulging in the delicious spread, the group then made their way back down the mountain – stopping once again to drop off their hired clothing before heading on back to Santiago. I must say, the most amazing thing about this tour was the wonderful guide, Gabriel, who gave constant knowledge and information about the Andes Mountains, Santiago and Chile as a whole – When I say that no question went unanswered, I literally mean it! All in all, the day was perfect, the scenery breathtaking and the information vast. Although the weather can really vary, there’s no doubt that any time of year would be the perfect time to visit. Summer or winter, nothing can beat the mountains, right? The Andes is a place that leaves you in touch with nature in the purest form; the peaks, the people, the vegetation and all. If there’s one thing that I learnt from my time in the Andes Mountains, it’s that they’re a part of the world that surely cannot be missed! PS) You have such a beautiful name! Great article. Love the photos to. Woww, it looks like you had an incredible time – what stunning (but cold looking haha) views. I love the photo of the little snowman. And I agree, Viator are great for tours!